I don't think I have the right words to adequately sum up just how I feel about this sweet, sweet family! This is the second time I've had the HONOR (and I don't use that word lightly) to photograph them! They recently welcomed a new member to their family, sweet Olivia and wanted to document that time in their life and I was HAPPY to do it!! We walked the streets of Mckinney, Texas chatting and laughing about life and PIE (there's an amazing pie shop a few blocks from where I was photographing them) and just had THE BEST TIME!! 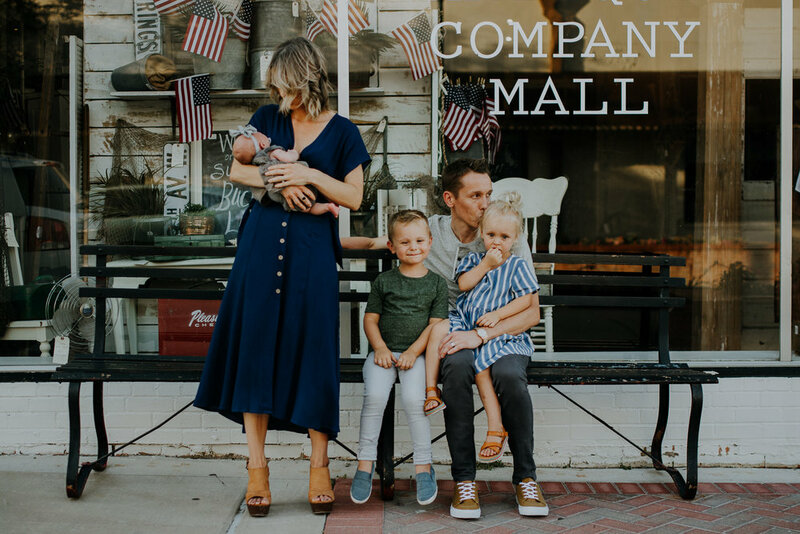 I think the reason I love to photograph this family SO much and why they are one of my VERY FAVORITES is because I always walk away with a variety of images. Some serious, some cute and giggly, but all full of LOVE!!! Thank you, Hillstead's!! Ya'll will always have a piece of my heart!